Refractive errors are eye disorders caused by irregularity in the shape of the eye. This makes it difficult for the eyes to focus images clearly, and vision can become blurred and impaired. Refractive errors include eye problems such as myopia (short-sightedness), hyperopia (long-sightedness) and astigmatism (caused by an irregularly curved cornea). They also include presbyopia, a normal ageing change, where the eye is no longer able to focus at close range. These eye disorders can be particularly problematic in developing countries, where those affected may not be able to afford sight tests or spectacles to help improve their vision. 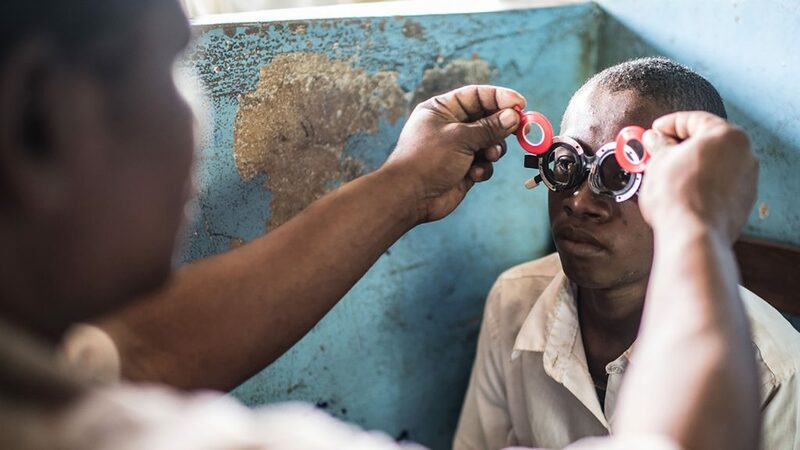 What’s more, those living in rural areas may not have access to eye care – in sub-Saharan Africa, for example, two-thirds of ophthalmologists and optometrists are based in capital cities, leaving a shortage of trained eye care professionals working in rural areas. The patient is given an eye test to find out how badly their vision is affected. During the test, they're asked to read letters or symbols from a chart. If they have refractive error, it can then be corrected with spectacles. 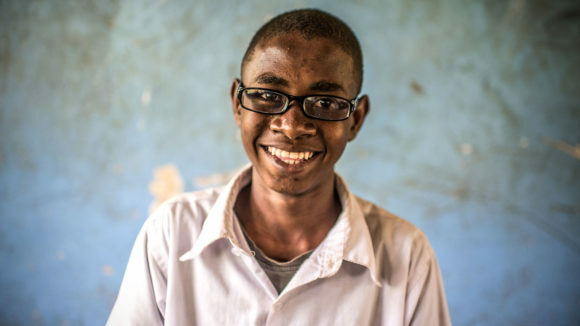 Since 2004, Sightsavers has dispensed almost three million pairs of spectacles across Africa, Asia and the Caribbean as part of our work in universal health care. 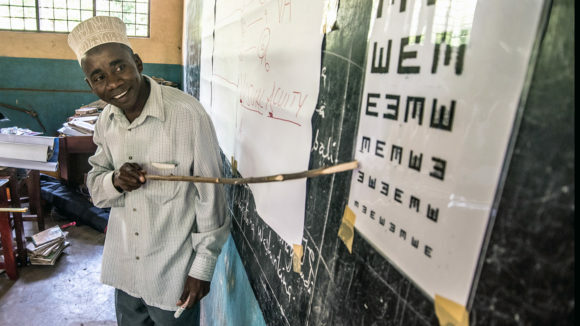 We have also helped to train 726 optometrists and 417 optometric technicians, who are able to carry out sight tests, diagnose eye problems and help to treat people with low vision in some of the poorest parts of the world, who may otherwise not have access to eye healthcare. Sightsavers’ School Health Integrated Programming (SHIP) project, which ran throughout 2016, screened schoolchildren in Cambodia, Ethiopia, Ghana and Senegal for health problems such as poor vision. 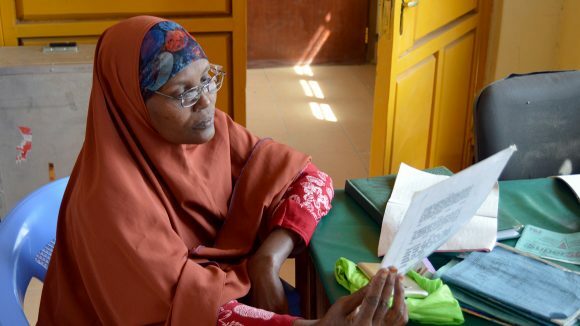 As part of the project, teachers were trained to carry out basic eye tests and refer children for further treatment. During the project, 57,400 children were screened for eye problems and 1,000 were given spectacles. 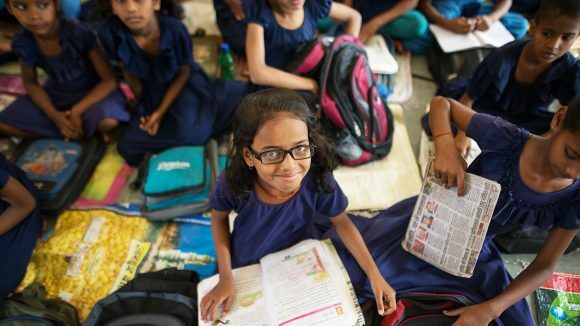 For children such as Riya, something as simple as a pair of glasses can mean the difference between a bright future and being trapped in a cycle of poverty. The latest from Kenya, where Sightsavers staff have been carrying out eye screenings in a refugee camp in Turkana. Plus news from India and Nigeria. 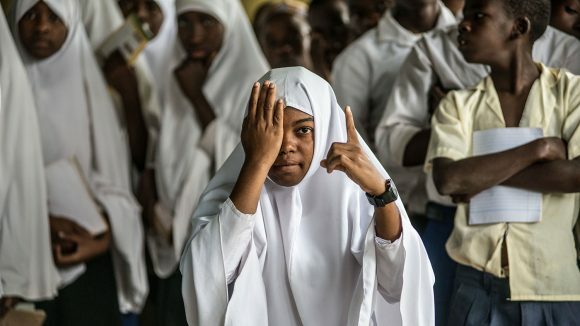 Sightsavers is training teachers in Zanzibar so they can diagnose pupils who have eye conditions such as cataracts.